27 days left in my first semester of being abroad. I have the countdown going not because I’m excited to be home and see family and friends, but it helps me keep track of my timing with everything I must do before I leave. 5 of those days will be spent in Prague (oops) but I’ll manage. The city gets cozier and cozier every day. I’m still taking the city route home from Science Park so I can admire the Christmas lights throughout the city. This week, on my way home on Wednesday, I caught the middle of the Dam Square “Turn on the Lights” light festival, which is technically the “opening of the festive season” in Amsterdam. The part I saw was the performance artist troupe Plasticiens Volants, and here is a video of the show I saw. Getting my bike through the crowd was less than fun, but it was festive! 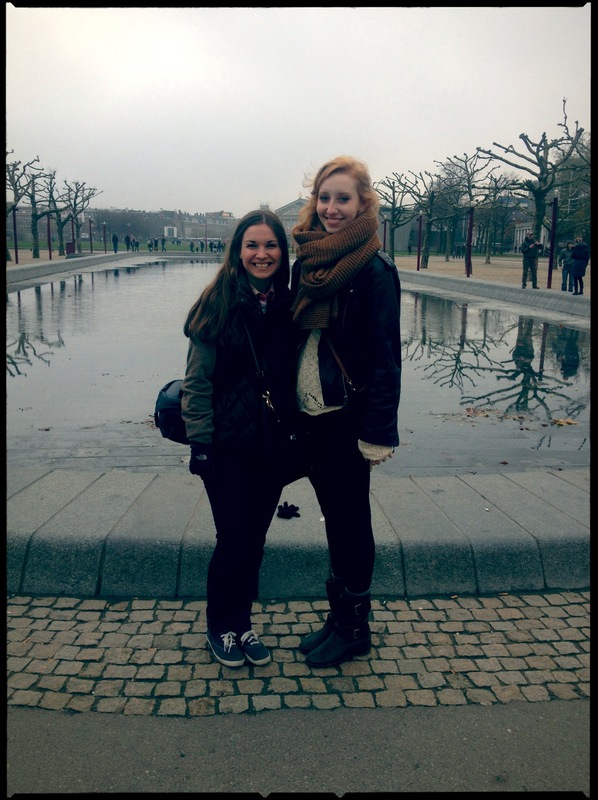 Nat and I had been wanting to take an inner-Netherlands trip this semester and finally got around to it on Saturday. We went to The Hague (den Haag), the seat of government in the Netherlands. It’s technically in South Holland. 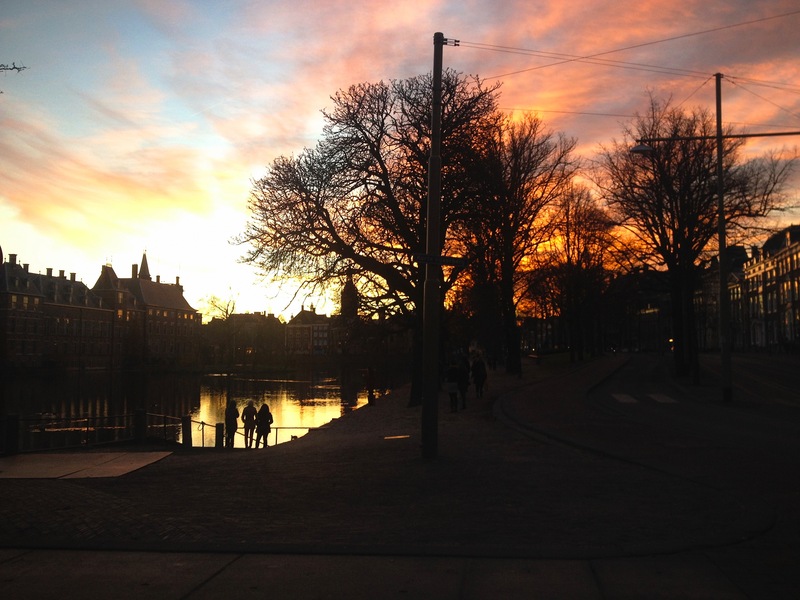 The city at first definitely has a different feeling than Amsterdam (a lot less people, more real business buildings, much less water) but we saw some beautiful parts and an absolutely incredible sunset over the parliament buildings. Different, but still the pretty Dutch landscape we’re now used to. Before I even get to the actual city I need to discuss the Dutch parents and baby that sat next to Nat and me on the train. I hadn’t been that close to one yet, but I quickly realized I want one. I don’t know how to guesstimate baby ages, but I’d guess two. She could speak in a little Dutch voice and pointed out trains, and also learned how to say “appelflap” right in front of us! I realized our vocabulary is the same level, so I could actually understand her. When the mother got up to let us out of our window seats, Nat noticed she was pregnant with another amazing little creature! We started the day off right. Parliament buildings and Nat. Church on the left. 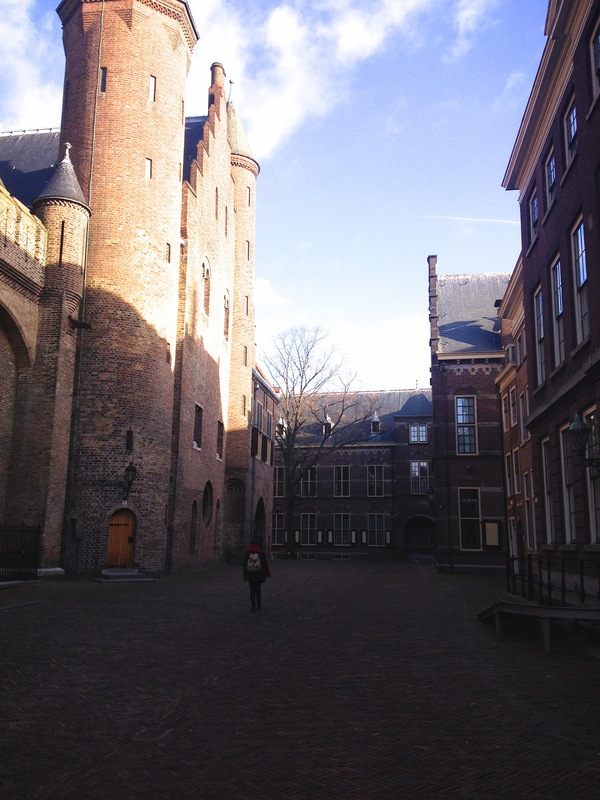 We got lost in Chinatown upon entering The Hague but found our way pretty quickly. 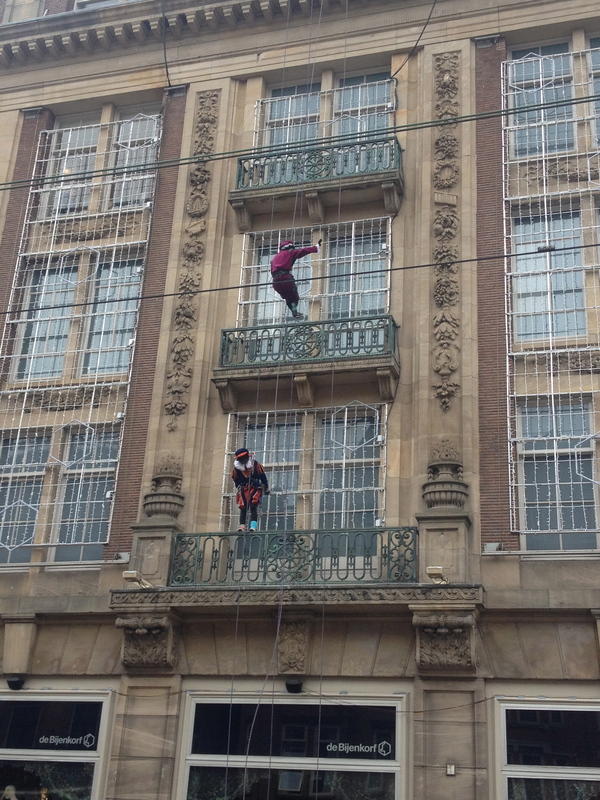 We first stopped at the Escher museum, Escher in het Paleis. It’s a permanent collection of his work, located in the winter palace of Queen Mother Emma of the Netherlands. The building is the only public building in The Hague where the “original royal ambiance has been maintained,” according to the palace website. M.C Escher was a genius, and while his art suggests maybe some mental disorders, that isn’t the case. His work is based on mathematics, eternity, and infinity. This quote sums up Escher and our experience at his museum perfectly: “In my prints I try to show that we live in a beautiful and orderly world, not in formless chaos; I cannot resist fooling around with our established certainties. It gives me great pleasure, for example, to deliberately mix up the second and third dimensions, flat and spatial, and to make fun of gravity.” How Lacanian of him! 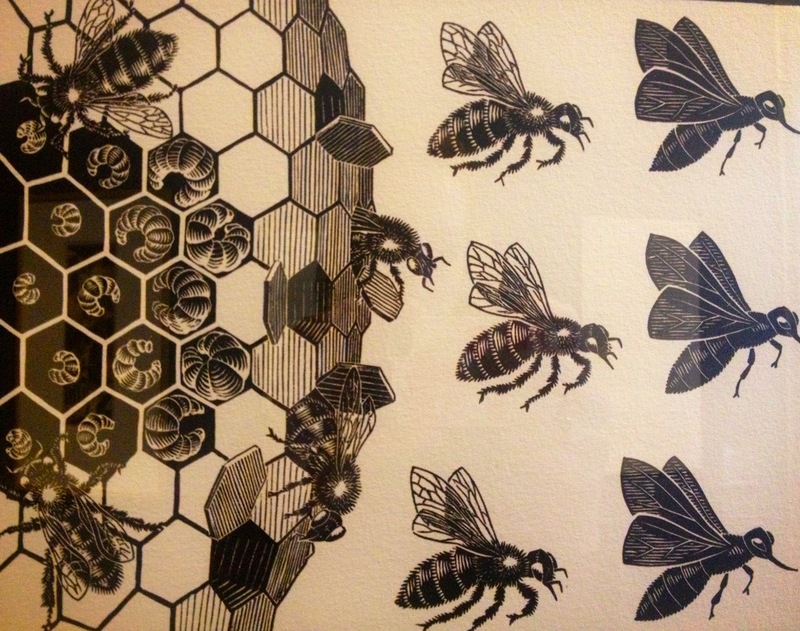 Some of Escher’s work. Yes, little Zwarte Pieten were all over the place for kids to count. One of my favorite sketches! 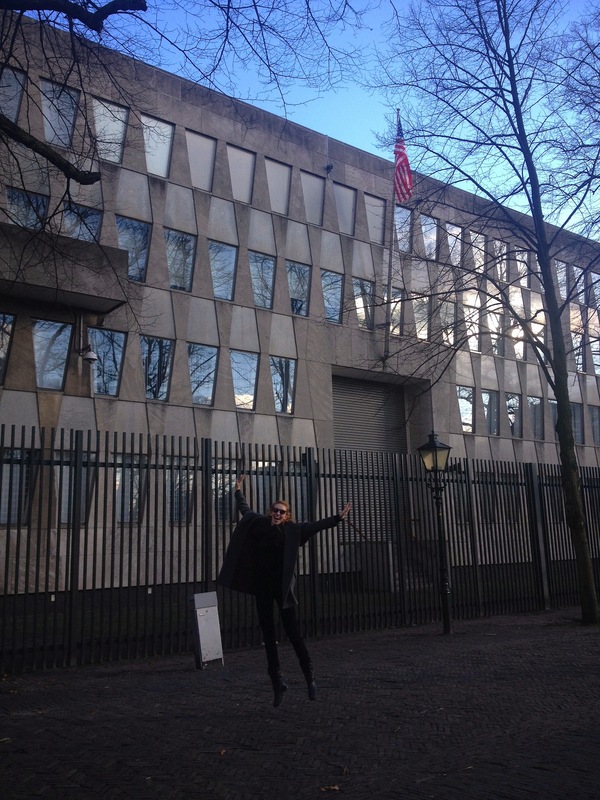 We found the US embassy shortly after our stop at Escher, so naturally I took a picture. Later in the day, however, we saw people in bright ponchos in front of the embassy and while Nat thought they were a choir, I quickly realized they were protesters that show up on Saturdays– these are the people my alert emails warn me about! 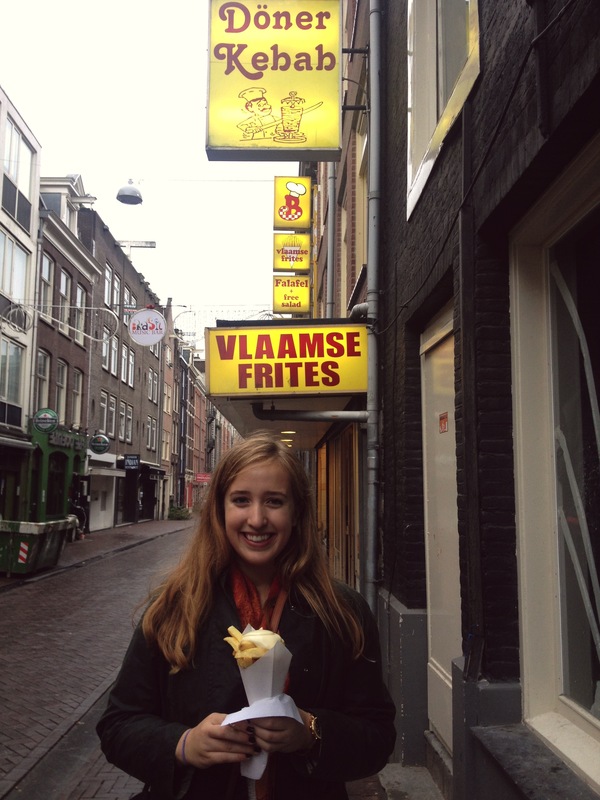 They looked harmless, and everyone thinks I’m Dutch anyway, so no big deal. According to my email, this group must have been “Support Human Rights,” formerly Iranian Academics, and they were raising awareness about Camp Ashraf, Iraq. Very interesting. Here’s my classic jumping picture though, pre-protest. Next, I came across my mecca. 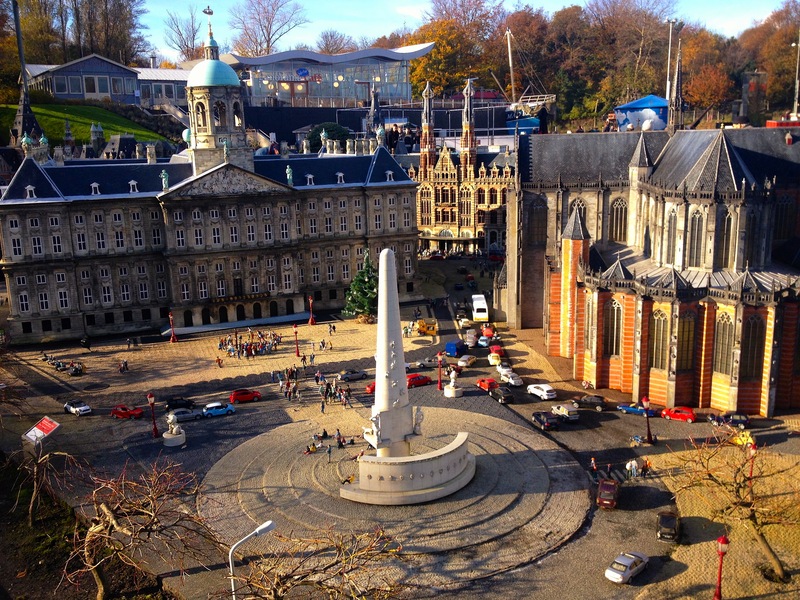 Nat and I squealed when we entered Madurodam, which is an interactive miniature park that has Holland’s most famous buildings, businesses, housing, etc. in miniature form! I could not get over how adorable everything was. 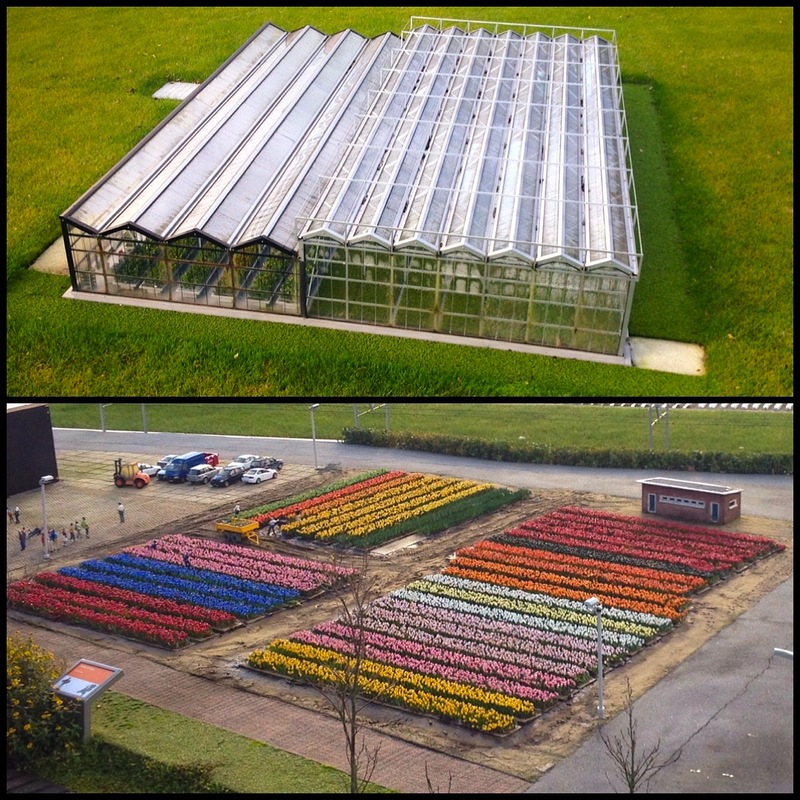 There’s a miniature Schiphol airport, Rijksmuseum, tulip fields, greenhouses (see pictures), mini canals for Amsterdam, mini beautiful architecture for Delft, the first modern home, everything. Maybe my imagination is just going wild but I honestly think it’s hard to see that the pictures are of fake miniature places. It’s obvious when you see the little people on little bikes around the buildings, but other than that, everything is so realistic. Another thing we realized about The Hague is that the tourists are all Dutch. Amsterdam is where international tourists go, and The Hague is where families go to learn more about Holland. Adorable, and clean, and respectful, and even more Dutch. Look at this place! That girl I’m talking to is much larger than the actual exhibit. 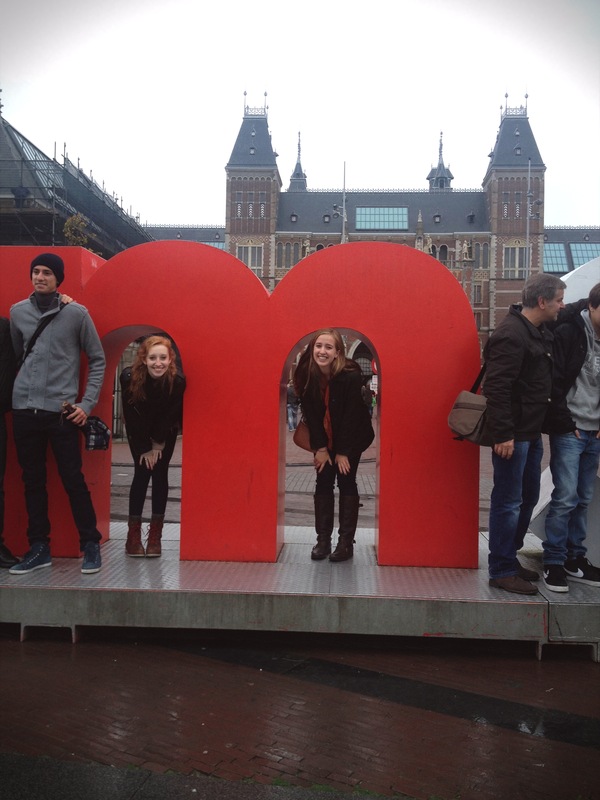 Mini Dam Square, in love! 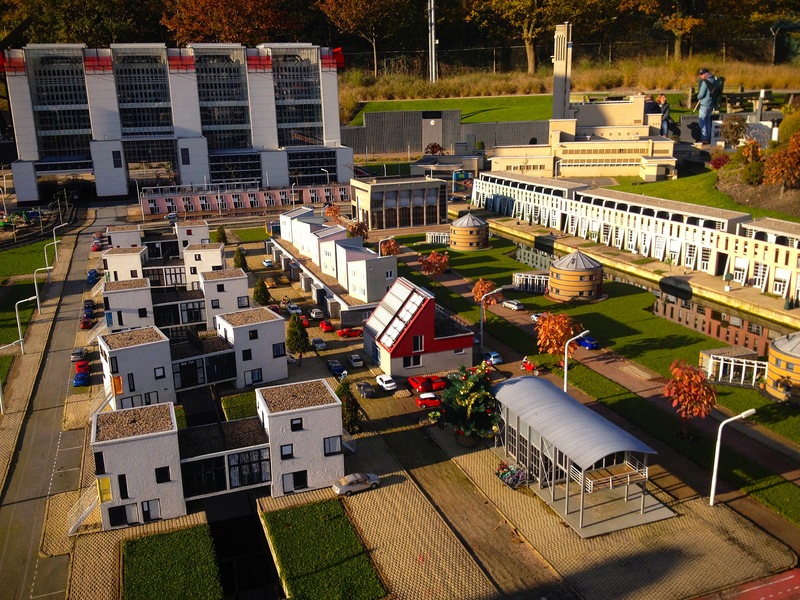 The woman from the Madurodam suggested we walk to our next museum, which ended up being quite the trek but worth it as we walked through a miniature forest. I was praying that I’d see a hedgehog, didn’t happen. 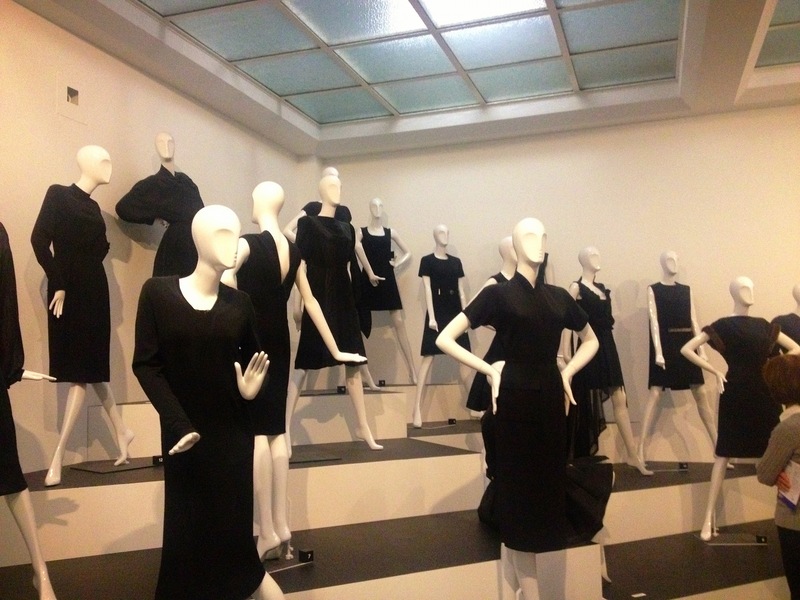 The biggest art museum in The Hague would have to be the Gemeentemuseum, which reminded me a lot of the DMA. We got to see a Coco Chanel exhibit (we just happened upon it, per usual), The Anatomy Lesson genre (ranging from Rembrandt to Damien Hirst), the masters of the Maurithuis museum that’s currently under renovation in the city center, modern photography, and even this really bizarre interactive basement that had a miniature museum in it (not sure what’s up with The Hague and miniature things but I’m not complaining!) 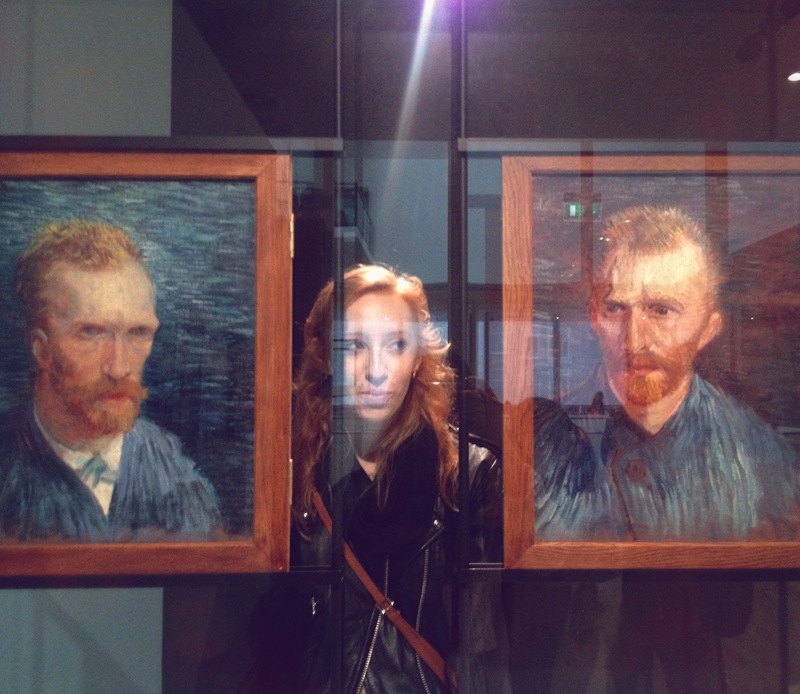 We spent a good deal of time here before realizing how much art we had absorbed and how tired we were getting. Our last stop was the Panorama Mesdag, which is the largest painting in the Netherlands. 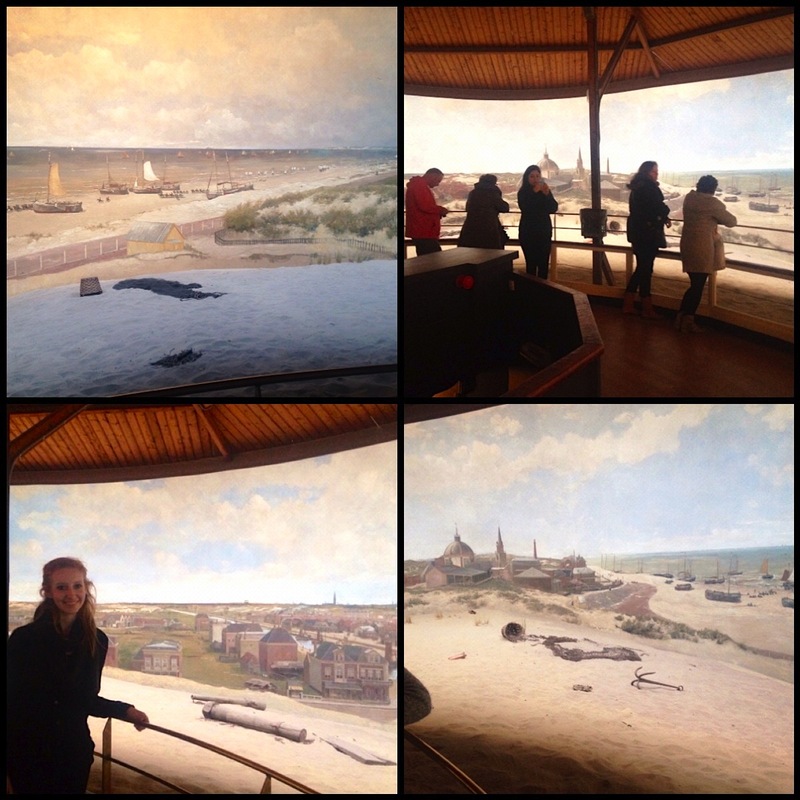 It is a 360 degree panorama by Hendrik Willem Mesdag, and it’s 120×14 meters. You climb up some stairs into a little round bungalow-type room, and are immediately blown away (or at least I was). The room is set up with the painting all around you, but you’re technically on a dome, so there’s real sand and beechwood that eventually runs into the painting from where you stand, but you can’t see where it ends and the painting begins. Not sure if my photographs will even do it justice. You can’t see where the paintings bottom is (because of the sand) or the top (because of this bungalow-structure roof) but you can tell that there are windows in the ceiling of the room, and the lighting changes based on what the day is like outside. 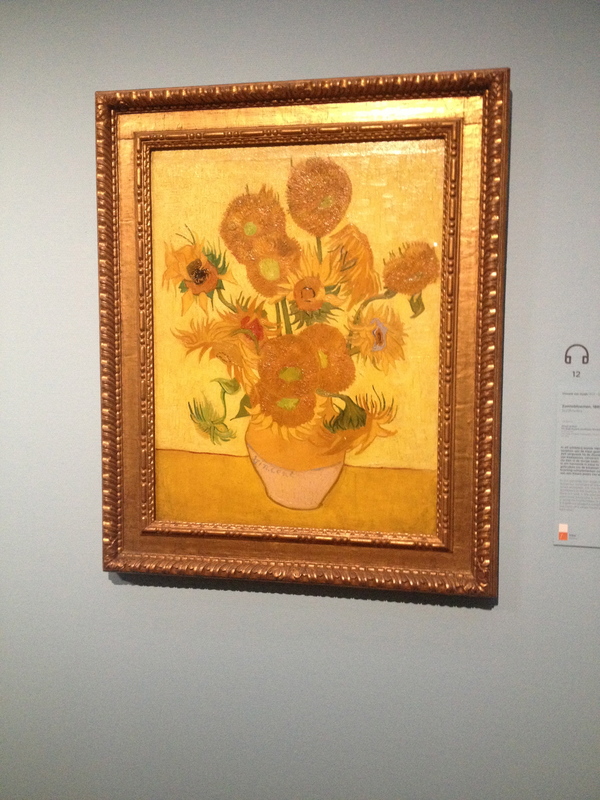 I was very impressed, but unfortunately the information on the painting was only played in Dutch. More research is needed. 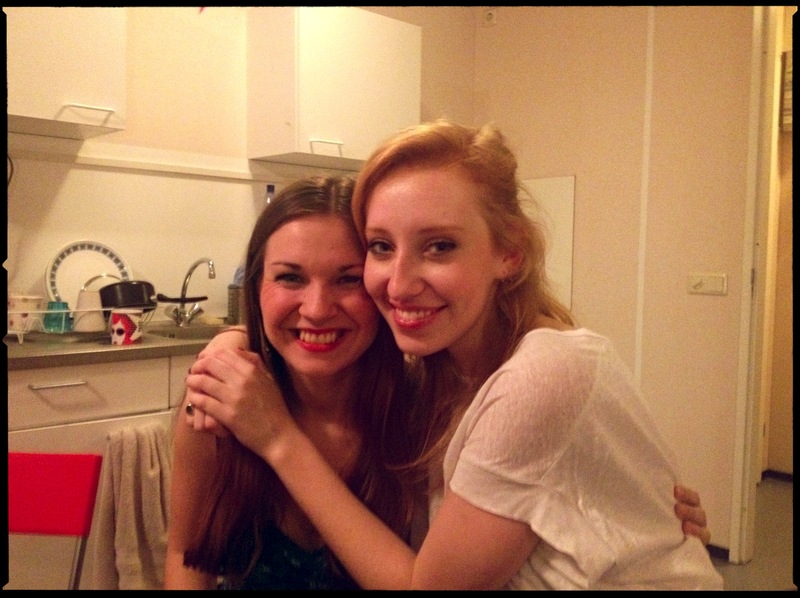 Nat and I had a wonderful trip to den Haag. 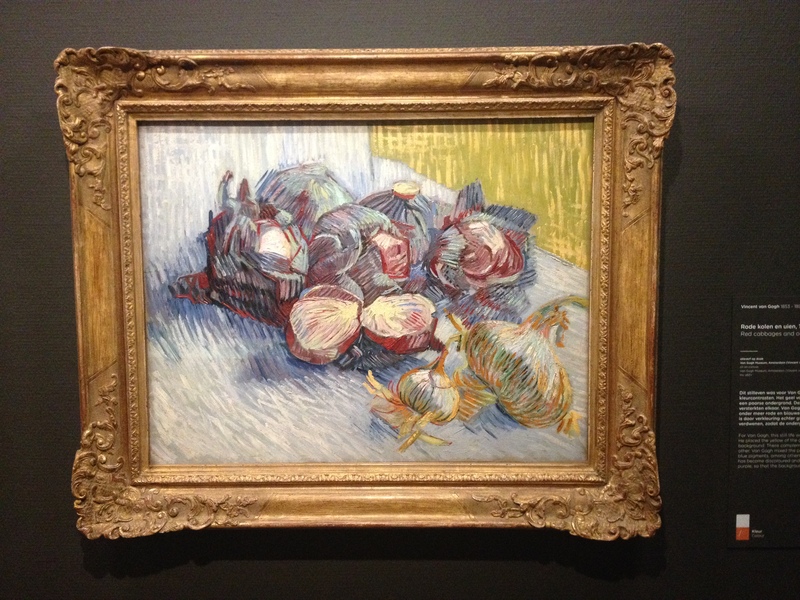 It was also relatively cheap, our museumcards worked at half of the places we went, and I highly suggest The Hague to my UvA friends looking for a little escape. I came home and slept like a baby. That happens frequently here. The week will be busy, I’ll have a visitor Tuesday-Friday and projects to work on, but I still take advantage of every moment here. Tot ziens! 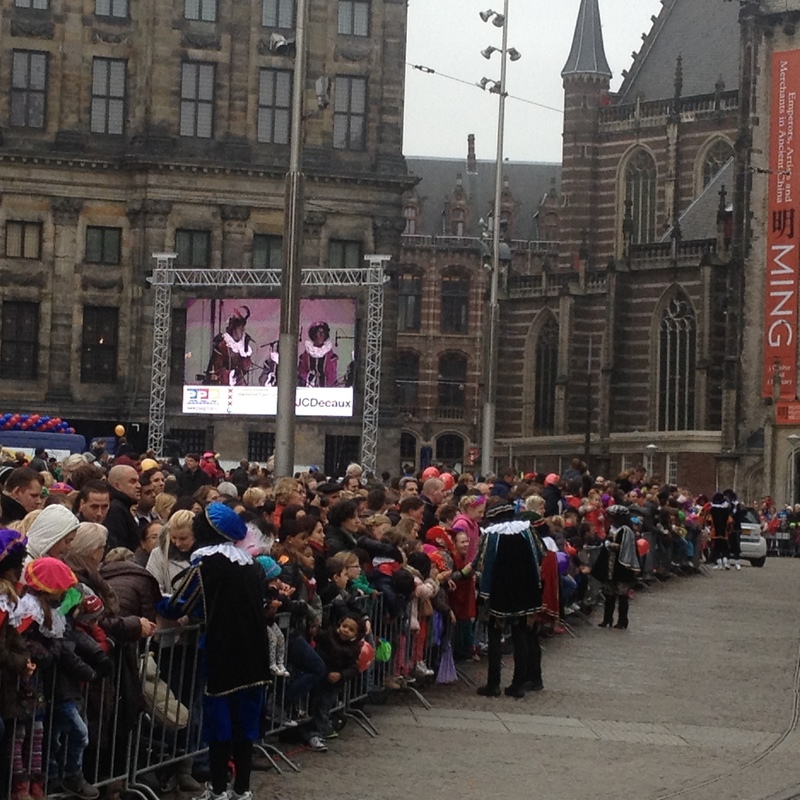 Sinterklaas came this past Sunday, which signifies the start of the holiday season in Amsterdam. 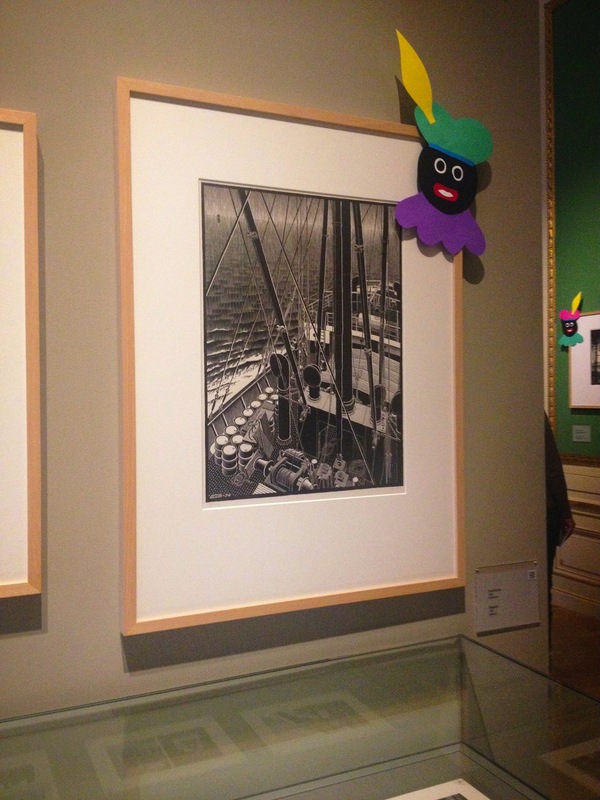 He brought along his helpers, Zwarte Piet (still don’t know if they are supposed to be one single entity or multiple? Either way they are frightening), and plenty of cookies. 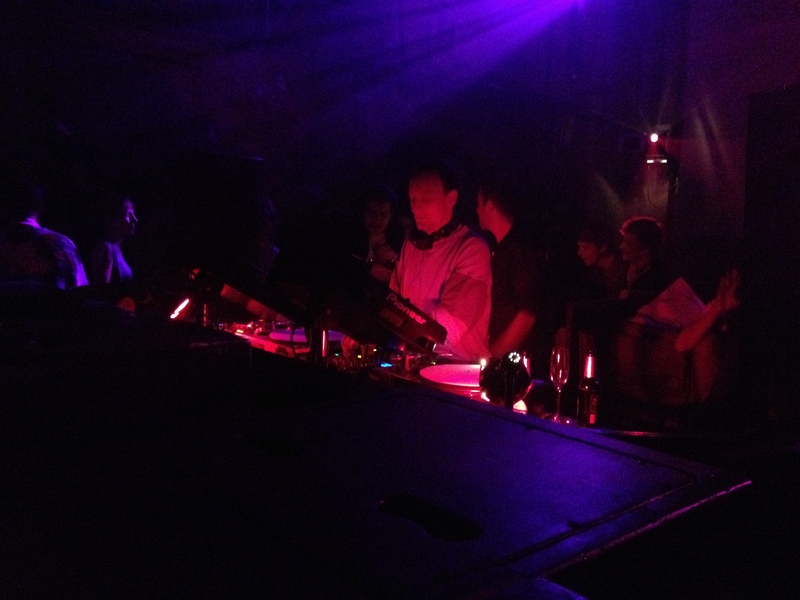 I’m adding my own pictures for this post, but getting information from my favorite cultural website, http://www.awesomeamsterdam.com. My favorite fact, perhaps, is that if you’re bad, supposedly Sinteklaas (or Zwarte Piet, who is sometimes known for beating children) will put you in a bag and take you back to Spain with him. Enjoy, and try not to judge. Watch the video as well! Who is Sinterklaas? Sinterklaas, also known as Sint Nicolaas, is a traditional Dutch figure based on the Catholic Saint Nicholas who was a Greek bishop in the third century. He is the patron saint of children, sailors, travelers, thieves, virgins, prostitutes and … the city of Amsterdam! 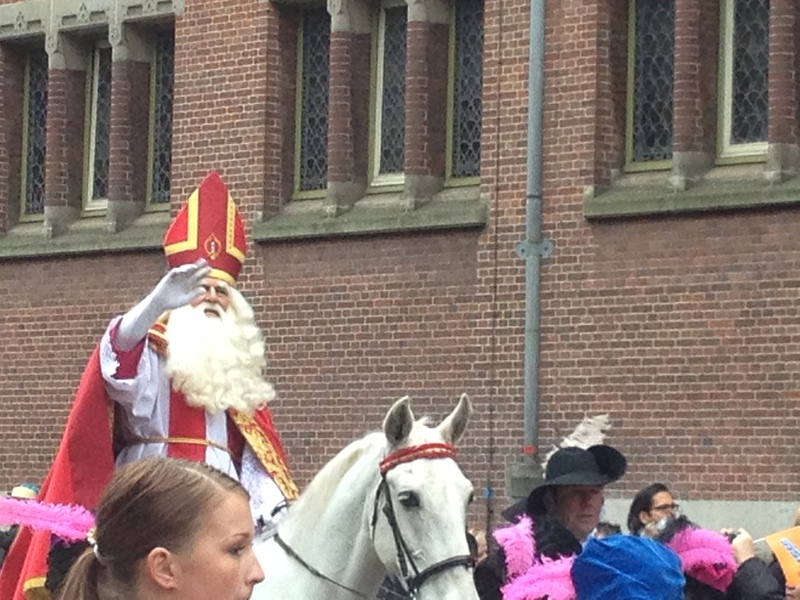 Sint Nicolaas is a white-bearded man who wears red and white bishop’s garb and holds a fancy gold staff. Unlike Santa Claus, Sinterklaas is not fat and jolly, rather he is a tall dignified gentleman who decides which children were naughty or nice in the past year. Sinterklaas arrives in the Netherlands in mid-November on a boat from Spain. After disembarking on Dutch soil he hops on his white horse, Amerigo, and makes his appearance in streets, schools and hospitals around the country. As mentioned above, Sinterklaas arrives in the Netherlands each year in mid-November by steamboat from Spain. It isn’t known exactly why he lives in Spain, but theories abound. Perhaps it is because the Catholic Saint Nicolas was buried in Spain or Italy, or perhaps it is because he brings Spanish oranges as gifts. Maybe he just prefers the sunny weather there. It is said that the Sint travels to the Netherlands on a steamboat because he is the patron saint of sailors. 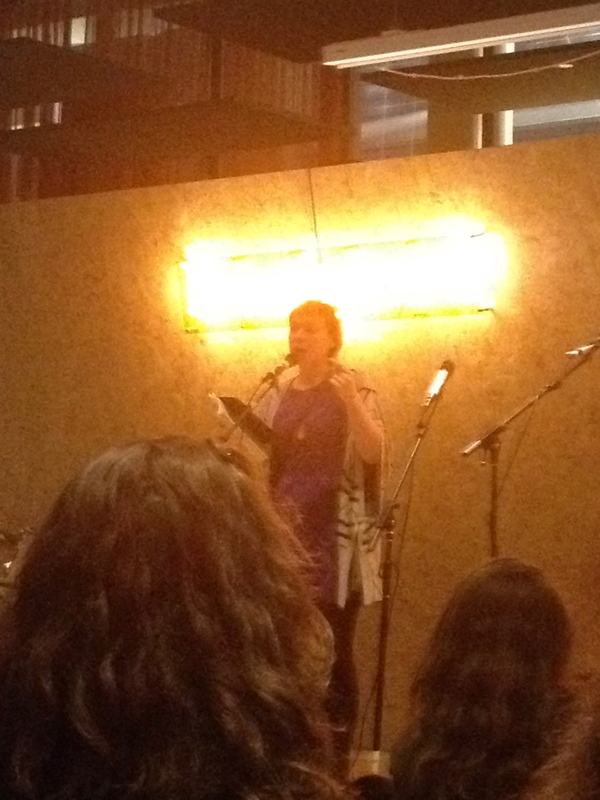 The steamboat was also an amazing new technology when many modern Sinterklaas songs and poems were written. In the Middle Ages, Sinterklaas was a holiday for Dutch school children to honor Saint Nicolaas and over time it also became a village festival. The holiday was both an opportunity to give aid to the poor as well as a time for wild revelry, similar to Carnival. Sinterklaas. He seemed like a nice guy! Who is Zwarte Piet? Zwarte Piet (or Black Peter, plural Zwarte Pieten) is a helper of Sinterklaas, somewhat like Santa’s elves. These colorfully dressed helpers follow Sinterklaas and assist him with distributing candy and gifts while entertaining children with silly antics. The Zwarte Pieten carry a chimney sweep’s broom which is used to spank naughty children as well as a big sack used to ferry the worst brats back to Spain. Newcomers to the Netherlands might be shocked by the appearance of people dressed in blackface with dark curly wigs and clownish outfits. Some find it racist and offensive but the liberal Dutch mostly view it as a charming and harmless tradition. There are various explanations for the origins of these helpers. Some say they symbolize a freed slave boy who became a grateful servant to Saint Nicolaas. Others believe the Pieten are simply Moors from Spain. In newer versions of the story, the Zwarte Pieten are black because they are covered in soot from climbing down chimneys to deliver gifts. Similar to the Smurfs, there is a Piet for every function. Some specialize in entertaining children, others in climbing down chimneys and a few are skilled navigators for the boat trip from Spain. Block 2 of classes has started and I welcome the change in my schedule. My mondays are a bit busier (Dutch Culture and Society in the city center and then World Ecosystems in Science Park shortly after), but other than that I have one class during the evening each day of the week and usually one day a week off. Unfortunately I have practicals on friday afternoons, but I’ll take it. My first week went well and I finished classes in time for Margaret’s arrival on Thursday evening. Then I had friday and the weekend off to enjoy the city with her. Dutch Culture and Society is a simple course that so far has been interesting. 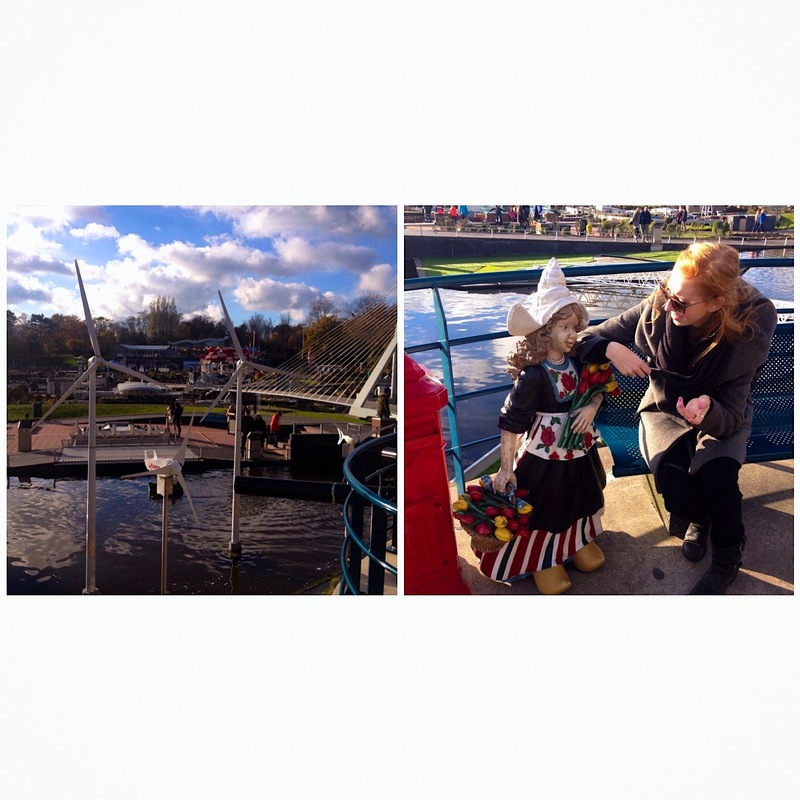 We do weekly blog entries (so many blogs!) about Dutch news, entertainment reviews, important Dutch people, whatever we want to research independently. We also have weekly group projects pertaining to a topic we cover in class; our first project was creating a brochure for a specific region, my group got Utrecht (which I know about all too well from being stranded there!) but we did well. I like little activities like that, they are very different from my other two classes! World Food Systems is a class that focuses on political/social/economic aspects of food around the world, and like my food production class, we have different lecturers every week that specialize in a certain aspect of society and relate this to food production and consumption. Super interesting. Last class we talked about the American influence of “convenience” on the Dutch, and how the American ideal of food in the 1950s and 1960s transformed how Europeans started thinking about food. I’m curious what we’ll discuss tonight! World Eco Systems is a science-based course but without labs, which is nice. We study different landscapes and types of soils and how they affect plants and animals. I have an exam in this class, and a project that I’ll be doing with my friend from Louisiana where we have to pick a country or state and talk about what type of soil and environment it has. We are doing either Texas or Louisiana, or both. I don’t remember studying the geography of Texas, so I’m actually really excited to learn about my own state. I find myself relating my studies in the US to Europe and my studies in Europe to the US, but that’s what I’m supposed to be doing! I really liked the colors in this one. We rested up for a Halloween party on friday night where Margaret got to meet the majority of my friends. She somehow lucked out on spending very little money this weekend since the museums were free, and this night out was free (no club cover as it was at an apartment). 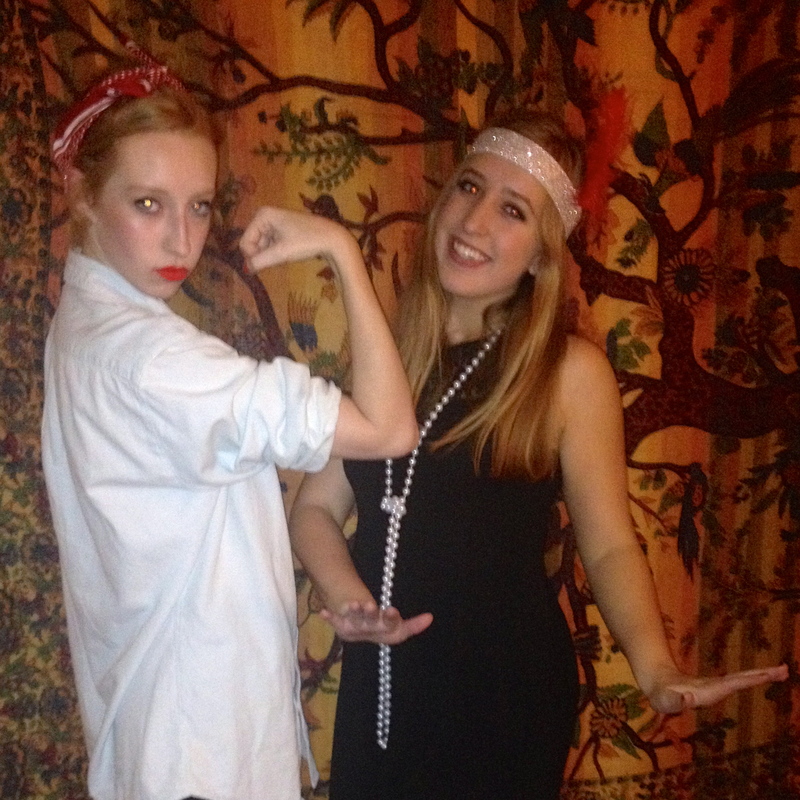 She went as a flapper and I went as Rosie the Riveter, and we thought it was funny that of course we would both go as symbolic American females (probably due to Hockaday’s subconscious influence), but the costumes were easy. Saturday was spent exploring more, of course, the best thing to do in Amsterdam. We had planned to go to Anne Frank but the line was incredibly long midday (I should have known) and our museum cards don’t let us cut that line unfortunately. 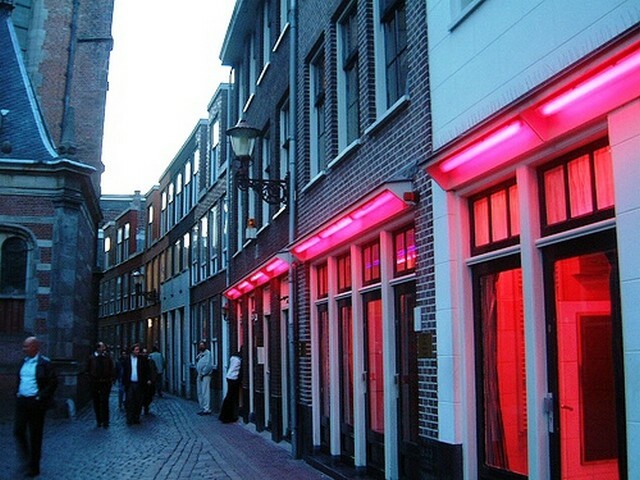 Instead we went to see the Old Church and the hidden Catholic church again, saw the red light district, and went for the absolute best burgers at The Butcher on Albert Cuypstraat. Neither of us had eaten good burgers since being abroad and these ones were particularly incredible. I had a burger with bleu cheese and truffle oil (and died shortly after eating it) and Margaret had the “Big Daddy” which is a 250g burger with bacon. Good girl. Walking around with Marge led me to discover SO many shops and sights that I don’t notice when I’m biking around, especially around the nine streets (particularly Fair+Fair and The New Label Project). Unfortunately I can’t afford all new furniture or an entire new jewelry collection from the stores here, but I am collecting so much inspiration for my future home. 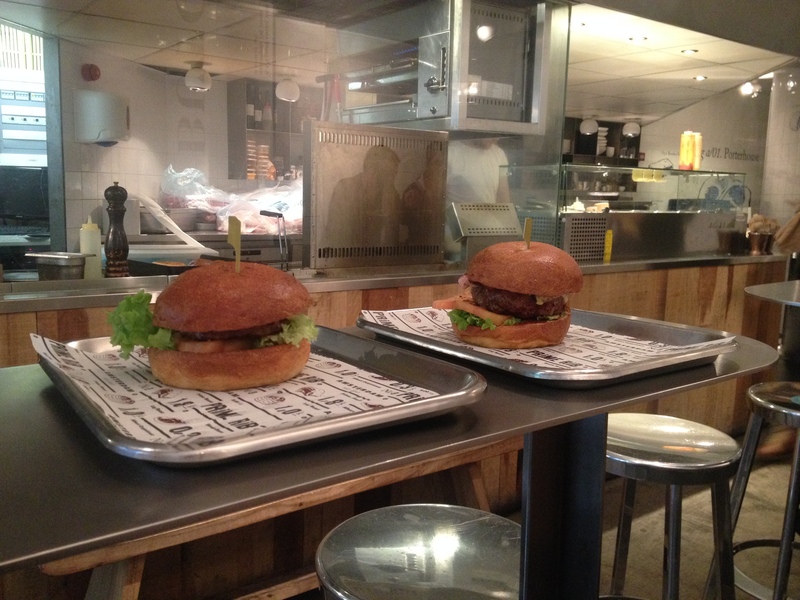 Guess which one is the 250g burger! She had to try the fries! Margaret, as a neuroscience major, had a ton of work this weekend so we allotted a few hours for homework. After working we checked out a bar I had heard a lot about, Hannekes Boom (translation is Hannekes Tree), which is a little bungalow bar on the water. It is incredibly hip and owned by the same people who own my favorite bar, Bloemenbar, and we got plenty of good people watching in. 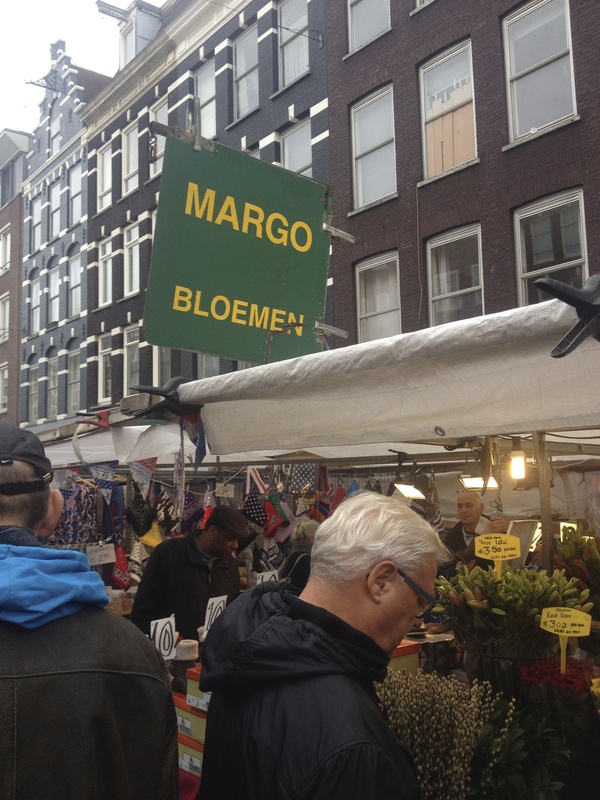 Margaret has Dutch in her, and she looks very Dutch, so she was so amazed to be in a place (and city) where she actually looked so much like the people. We made it to Anne Frank on Sunday at 8:30am (it opens at nine, and luckily we got there when we did). Within 15 minutes after we got there the line had grown by easily over 150 people. We got into the museum by 9:20. 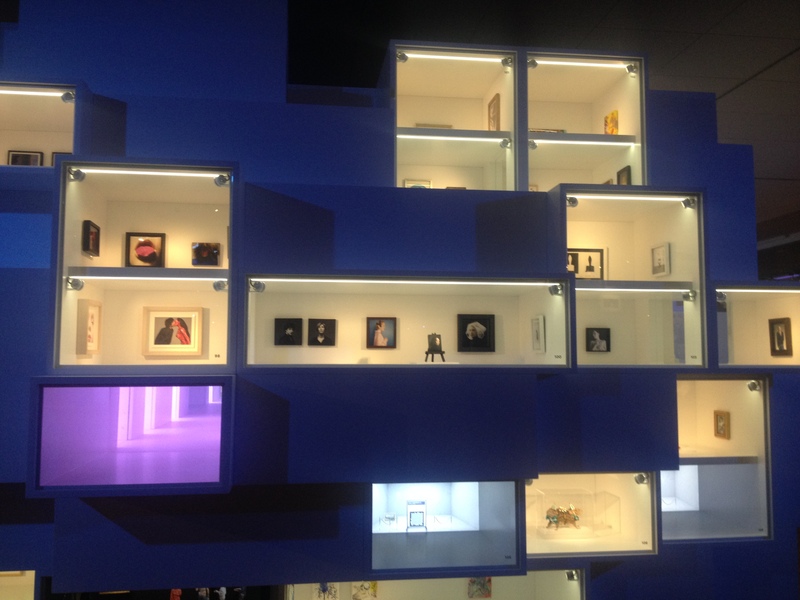 I highly suggest this museum to visitors, especially girls that kept diaries or journals. So many quotes from her diaries reminded me of things i would have written as a young teenager and it really put her experience in a different perspective for me. I was surprised with the size of their hiding place; two stories of the building were dedicated to housing 8 people. Still, the story is incredible. After the museum we went to the Westerpark market (that I’ve already blogged about) and ate good food and saw plenty of Dutch dogs and babies. By the time we got back and rested, it was time for Margaret to head to the airport. I know she had a great time and I was so happy to see her. The days are getting shorter, the weather is definitely getting colder, and that little bit of love really helped. The sun even came out for a little bit on Sunday (then it hailed, while it was sunny…) but at least it was a little brighter. Until next time. I’ll end on this Van Gogh quote: “I know how much I still have to learn myself, but all the same I’m beginning to see light ahead of me and one way or another, by practicing on my own, by learning anything I can use from others, I’ll continue to paint with passion.” Replace “paint” with “live” and you have a description of my time here.